Brand New Metal Tray from Creative Co-op. 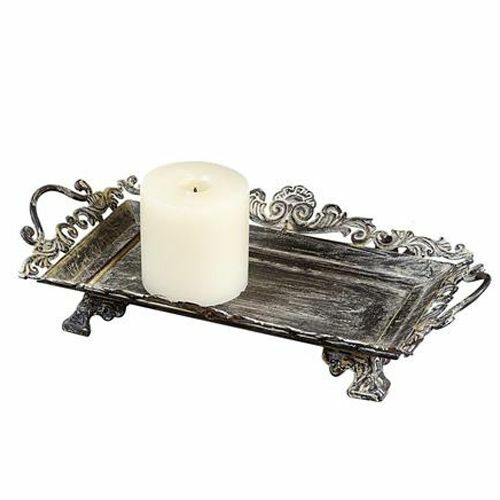 This wonderful metal tray can be used just about anywhere. It looks great with Country French Shabby decor as well as Old World decor. Each tray has a worn and weathered look. They are handpainted so each one varies slightly. The rich warm gunmetal gray and tan coloring goes with almost any decor. The basic color is a dark gray with accents of tan. This listing is for the tray only. The candle is NOT included.